The government of Pakistan's Twitter account wished the UAE on National Day. They praised the country for their achievements. Dubai: Pakistan has wished the UAE a happy 47th National Day on Twitter. In the two-part tweet, the official account of the Government of Pakistan @pid_gov, praised the accomplishments of the UAE and talked about ‘cooperation’ between the two countries. The tweets were shared with a picture of Khan in office, with emoticons of the flags of UAE and Pakistan. 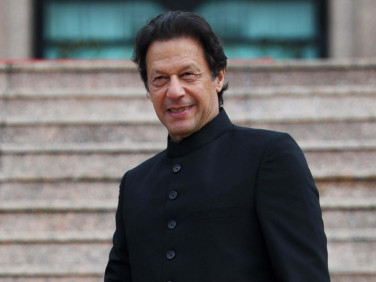 Khan visited the UAE twice this year with the aim that it would boost friendship and cooperation between the UAE and Pakistan. During the meeting, both sides discussed areas of cooperation, especially for trade and the economy.